Despite having a first class ticket to ride, some of comics best miss the train and often get left to aimlessly wonder the platform, all but forgotten. In Lest We Forget, I pluck a limbo-lingerer's need for a comeback. 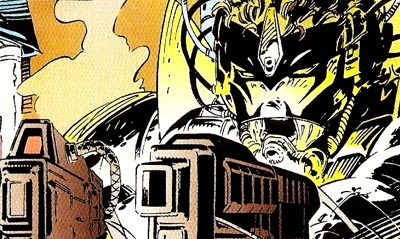 Today, it's Marvel's mega-cool mercenary: Maverick. While I never thought I'd have to designate a Least We Forget article to an X-character, with David North, I don't have an option. Maverick is an awesome merc, nestled within the Wolverine / Weapon X X-universe. With X-Force soon to get a revamp, as well as a film, I can't think of a better guy to stand beside Cable in either, than he. First off, lets do a little restoration. Get that faceplate back, it's one of comics best and fiercest, and while we're at it, let's drop all that 'Agent: Zero' stuff. The name is Maverick. Any numb-nuts can call a character Agent (insert random digit here), but 'Maverick' says in one word the dude's unpredictable and deadly. Mask and mantle locked in, let's go. A cold, untrusting German, the loner born Christoph Nord has earned the respect of Wolverine, having fought alongside the feral mutant and Sabretooth in the ranks of Team X. Here, Nord chose to kill his own mutant assassin brother, in order to ensure his team's survival and the success of their mission. Next a roaming gun for hire, Maverick's relationship with Logan and Victor Creed runs deep. 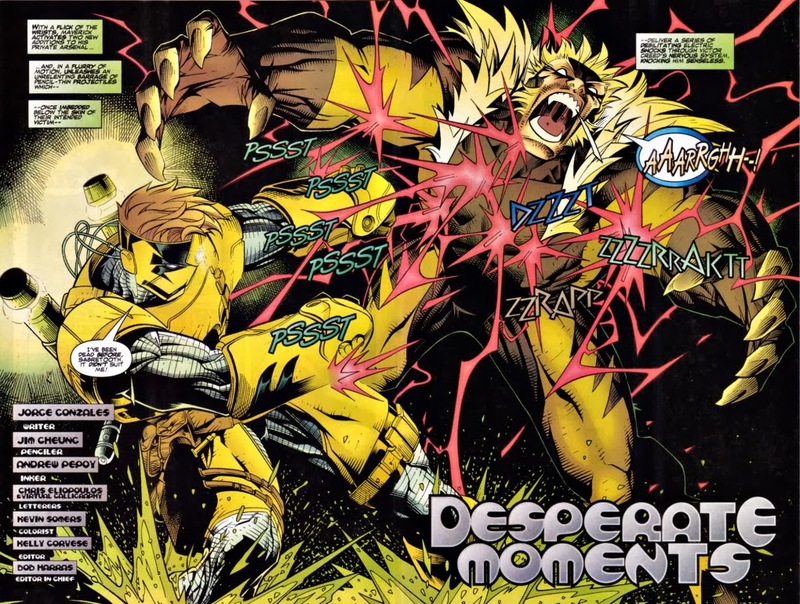 He helped capture Sabretooth for 'rehabilitation' in the 90's, and with the process a failure of mass-proportions, Creed would go on to place David's ally, Elena Ivanova, into a coma - the woman who revived Maverick, after his death due to contracting the Legacy Virus. The bad blood Elena's attack created didn't turn the tides in David's favour. 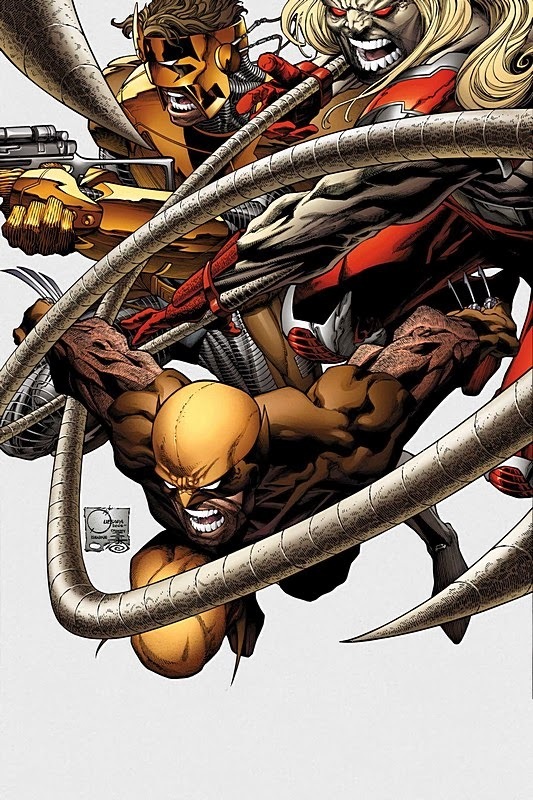 Brought to death's door himself by Victor, Maverick has to accept Weapon X's offer of life as the augmented 'ultimate Wolverine Assassin', Agent Zero. Despite having once talked Wolverine into keeping up the good fight after losing his adamantium, David, disgusted at what he has become, repeatedly tries to take his own life. His renewal for living tragically came when a new Maverick, trained by Cable, attacked Marrow's renegade Morlocks, Gene Nation. Fatally wounding the imposter, David discovers he is the X-Man/New Warrior Bolt. The Legacy Virus suffering kid Maverick had saved from The Friends of Humanity, and who had tried to avenge David's presumed 'death' by adopting his mantle. Living on in his honour, David now free from Weapon X, holds Marrow personally responsible for Bolt's fate. 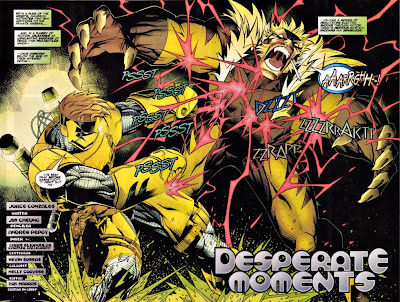 HOW I'D GET MAVERICK MOVING AGAIN: Sure he may have lost his kinetic absorption powers due to House of M, but how can a guy with ties to Wolverine, Cable, Sabretooth and a vendetta against Marrow not show up in the new X-Force to settle the score? Heck, Maverick has even appeared in the X-Men cartoons, and as (piff) Agent Zero (played by Daniel Henney), in the flick X-Men Origins: Wolverine, with a video game to match. If he's that multi-media friendly, how can he be M.I.A. this long? Yeah I kinda surprised, first off that's alive and viable, and secondly that he hasn't been brought back. Look at all the X-Force revamps or various X-Men teams around, and surely you'd think Remender or Arron would've used him. All it takes is for the right person, writer, or editor to be a fan or a fan for the moment, and suggest him to return. It could happen sooner than we think. I think Dale - although I was surprised at how long the X-books left Kurt off screen for. And Jean. Mind you when you have so many mutants running around I guess you don't really get to miss any who duck out like you used to. So much for being an outcast minority!